is an open source network intrusion prevention and detection system (IDS/IPS) developed by Sourcefire. Combining the benefits of signature, protocol, and anomaly-based inspection, Snort is the most widely deployed IDS/IPS technology worldwide. With millions of downloads and nearly 400,000 registered users, Snort has become the de facto standard for IPS. It is based on the code from the Analysis Console for Intrusion Databases (ACID) project. This application provides a web front-end to query and analyze the alerts coming from a SNORT IDS system. BASE is a web interface to perform analysis of intrusions that snort has detected on your network. It uses a user authentication and role-base system, so that you as the security admin can decide what and how much information each user can see. It also has a simple to use, web-based setup program for people not comfortable with editing files directly. is an Open Source Host-based Intrusion Detection System that performs log analysis, file integrity checking, policy monitoring, rootkit detection, real-time alerting and active response. It runs on most operating systems, including Linux, MacOS, Solaris, HP-UX, AIX and Windows. Check out OSSEC features and how it works for more information about how OSSEC can help you solve your host-based security problem. is a high performance Network IDS, IPS and Network Security Monitoring engine. Open Source and owned by a community run non-profit foundation, the Open Information Security Foundation (OISF). Suricata is developed by the OISF and its supporting vendors. Open Information Security Foundation (OISF) is a non-profit foundation organized to build a next generation IDS/IPS engine. The OISF has formed a multi-national group of the leading software developers in the security industry. In addition to developers and a consortium consisting of leading cyber security companies, OISF has engaged the open source security community to identify current and future IDS/IPS needs and desires. 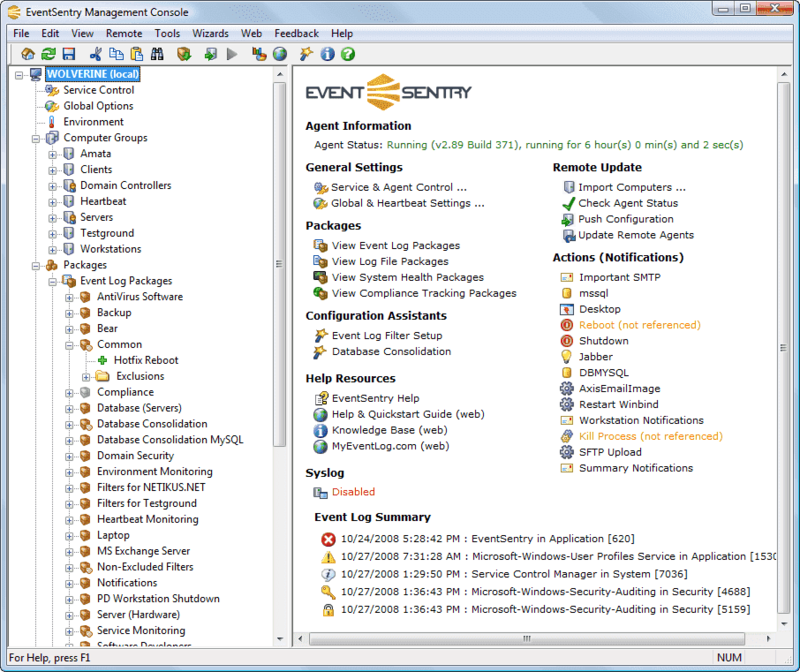 is a Universal "Security Information & Event Management" (SIEM) system. Prelude collects, normalizes, sorts, aggregates, correlates and reports all security-related events independently of the product brand or license giving rise to such events; Prelude is "agentless". is a powerful network analysis framework that is much different from the typical IDS you may know. 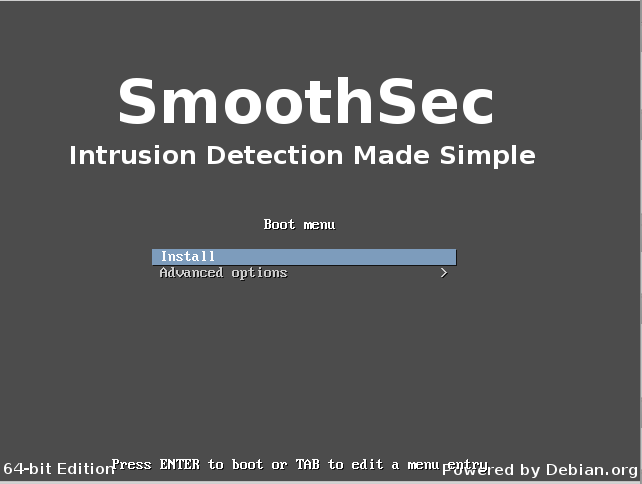 is an easy to install intrusion detection system based upon Snort. EasyIDS is designed for the network security beginner with minimal Linux experience. EasyIDS includes CentOS linux, Snort, Barnyard, mysql, BASE, ntop, arpwatch, and more. 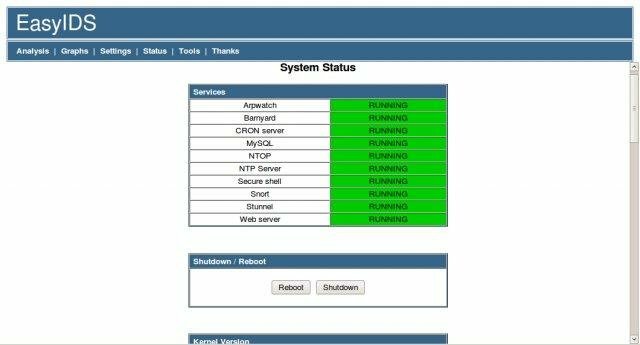 open source Intrusion Detection System distribution based upon Snort, EasyIDS takes the pain and frustration out of deploying an Intrusion Detection Systems. Designed for the network security beginner with minimal Linux experience, EasyIDS can convert almost any industry standard x86 computer into a fully-functioning Intrusion Detection System in as little as 15 minutes. EasyIDS lowers deployment and maintenance costs for network security without compromising functionality or performance. provide host-level security services for the Unix platform. PortSentry, Logcheck/LogSentry, and HostSentry protect against portscans, automate log file auditing, and detect suspicious login activity on a continuous basis. is a lightweight and fully-ready IDS/IPS (Intrusion Detection/Prevention System) Linux distribution based on Debian 7 (wheezy), available for 32 and 64 bit architecture. The distribution includes the latest version of Snorby, Snort, Suricata, PulledPork and Pigsty. An easy setup process allows to deploy a complete IDS/IPS System within minutes, even for security beginners with minimal Linux experience. Join the community, share your experiences, tips and ideas.